Quick Malamar, to the Noivernmobile! Hey there everyone, James here again and in this article, I’m looking to bring you the lowdown on a bit of a rogue deck I have been working on in preparation for the World Championships in August. Right up top, I’m going to admit that this deck isn’t perfect, it has its flaws that I’ll go over and address, but I believe in as a core concept, and possibly in a different field after rotation, I really think there’s something here that can work. Despite my initial sky-high hopes and solid theroymoning on the topic, after testing it against a gauntlet of meta decks I’ve unfortunately found some flaws that will need to be worked on to get the deck to be a top tier threat. With that being said, I want to walk through my initial concept of the deck, what features it offered that I thought would be exploitable in the current format and then some obstacles the concept will need to get over in future to really get off the ground. I’ve also got a suite of tech options and crazy choices you can make with the deck depending on your expected meta and how annoying you want to be. 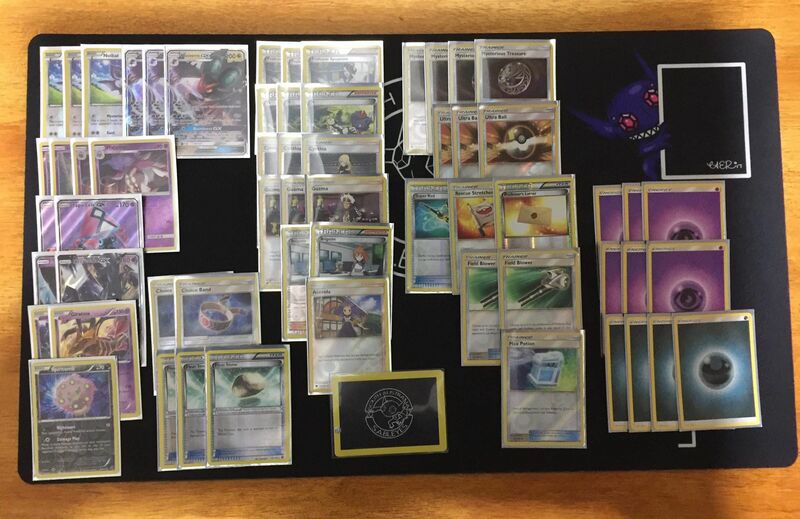 A bit of background on what made me start testing Noivern GX with Malamar; from the release of Forbidden Light, Malamar has taken my interest. Unlimited energy acceleration is the discount card needed to make a number of attackers viable. While I was enjoying the initial hype around first Ultra Necrozma GX and Dawn Wings Necrozma GX, and then Necrozma GX and Mewtwo GX, I was also looking for what other non-Psychic type attackers could benefit from this discount option. Initially I had hoped to make a four-corners type deck, with Rainbow Energy or Unit Energy to pay the specified costs and then Malamar to ramp Psychic Energy to pay the rest, a concept that is similar to the deck that the Singaporean sensation Jit Min played at the 2015 World Championships, which revolved around Bronzong PHF playing the role of Malamar to power up a range of attackers including Raichu XY, M-Rayquaza EX, Terrakion NVI and Tropius PLB. Testing against this deck the night before the event I was impressed with its flexibility, non-EX focus and the pick of a few typings to counter the meta in only a few attackers. Unfortunately for a four-corners style deck currently, I wasn’t happy with a spread of attackers that could successfully counter a reasonable number of decks, although this idea is worth keeping in mind for the next two years that Malamar is legal. After realising that a four-corners deck might not work, I looked at the current contemporary to this idea, using the Counter Energy package. 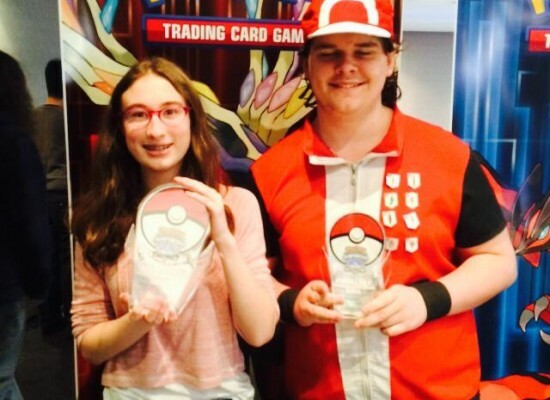 There had been some success with Zoroark GX and Counter Energy users, a brief run with a similar idea using Silvally GX and Counter Energy going around as “Clap-Back Valley”, and even some lists for the same idea of Counter Energy and Malamar users. The Counter package supported a lot of the ideas I wanted to see work, including a thinner Malamar line to power the additional attachment costs of a variety of attackers as supported with Rainbow Energy, Unit Energy and Counter Energy. While the energy line is a bit of a mess, it provided the options needed to power a range of the popular Counter attacking crew, with Mimikyu GRI, Cobalion STS, Sudowoodo BRP, Hoopa SHL, Clefairy EVO, Shaymin SHL, Mew FCO and the ever-necessary Giratina Promo all being options, amongst others. I quickly gave up on this idea as without a strong draw engine, it can be difficult to get the pieces needed to the tech attacker of choice and into the active position each turn, as well as often clever opponents can attack off of Pokemon that aren’t being hit for weakness or otherwise being exploited, such as Tapu Lele GX. Malamar with the Counter Box style sort of gave way to the more focussed one prize attacker Psychic Malamar deck played currently, a much more successful concept. From the relative failures of the ideas I wanted to try with Malamar, I started to look for other things that would have a greater chance to work if their high or awkward attack costs got the helping hand that the psychic squids can offer. A few other key pieces fell into place in this process, such as trying to see which other decks could benefit from the boosted consistency of Mysterious Treasure. 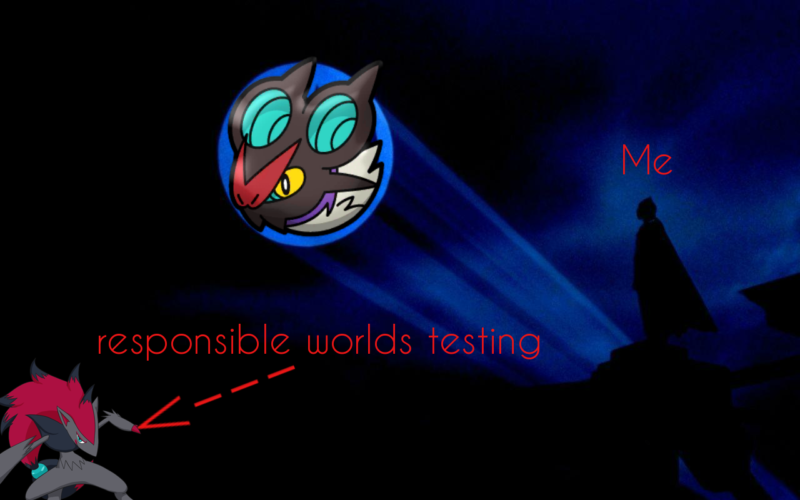 Also given the fact that as a South Australian SAbleye team member I’m obsessed with Dark type Pokemon, as well as being an unashamed fan of Seismitoad EX, I turned to consider Noivern GX. Noivern GX had quickly been written off on its release, as even though it used to benefit from Double Dragon Energy to fuel its attack cost, it came out to the most inhospitable field imaginable, full of Drampa GX ready to remove that Special Energy and Gardevoir GX ready to one-shot it for no effort. It’s kind of sad that at the time the card was probably at its best, it was held back by a truly unfavourable metagame. Noivern GXs stats are decent, boasting 200HP for a Stage 1 with free retreat, no resistances and a weakness to the almost-negligible Fairy typing. I feel that all three of its attacks are broken, and each one contributes to a separate game plan that this deck can employ, depending on the matchup. The main draw for this Pokemon is the Distort attack, for a Dark and Psychic costing it deals 50 damage and prevent the opponent from playing items on their next term. Item lock is always broken, and in the set that release Mysterious Treasure and Beast Ring to a field already fixated on Max Elixirs and Puzzles of Time, I thought this might be the time to bring it back. The idea of passing by the Beast Ring timing or stranding heavy Pokemon active with no Float Stones to be played seemed like it could work, although the damage is a little on the low side. 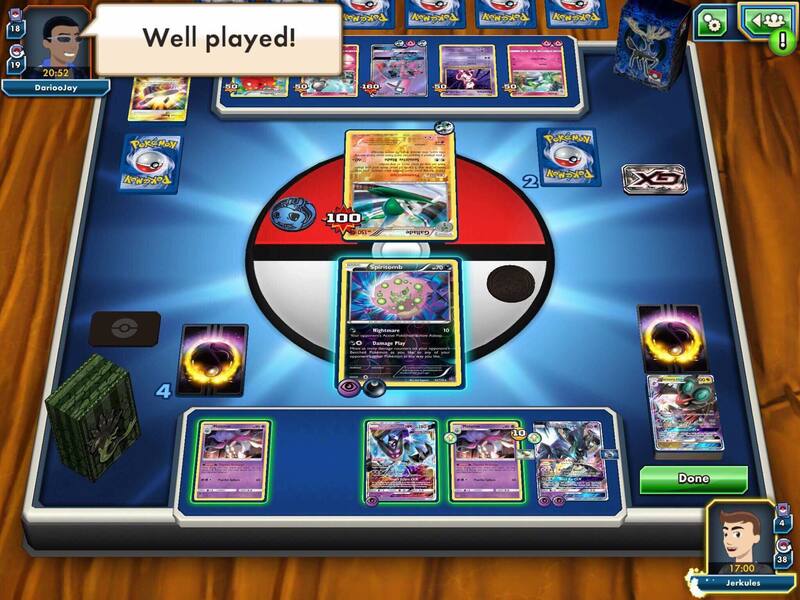 Then Noivern GX’s second attack comes in, for a Dark, Psychic and Colourless costing Sonic Volume deals a much more respectable 120 base damage whilst preventing your opponent from attaching Special Energy cards from hand on their next turn. Except for Malamar decks running mostly basic Psychic energy, almost every other deck focussed on the benefits of Special Energy, from Strong and Beast to Splash and Double Colourless. Some decks even play exclusively Special Energy, giving Sonic Volume the option to be a built-in win condition in and of itself, as well as a more reliable way to deal relevant damage and wipe out threats. 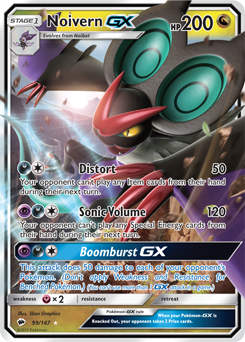 For the same costing, Noivern GXs Boomburst GX attack gives us our third strategy with this deck, dealing 50 damage to all of your opponent’s Pokemon in play. This can be used to soften up targets an opponent has in play before they come active, or to finish off some Pokemon that have run away after taking a few hits with Distort. This attack combos with some of the other parts of the final deck in an incredibly fun manner, which I’ll go over after detailing the list itself and the rest of the supporting cast for this madness. As to the basic bat of choice, I love the Noibat FBL that can discard your opponent’s items from their hand for just a double colourless energy from Forbidden Light. I had been playing a couple of copies of this Noibat in a sort of one-prize focussed Garbodor deck as a way to fuel the Trashalanche attack and to help disrupt your opponent, so maybe this put the Noivern line on my mind. But due to the energy cost I actually prefer the BreakThrough Noibat of Night Striker theme deck fame, for it has 60HP, Fighting resistance and the attack Mysterious Beam for one Colourless energy that flips a coin to discard an energy from the opponents active. With its Psychic and Dark type energy costing, I was sure that a combination of Noivern GX and Malamar would work, as previous attempts to get Noivern off the ground were ruined by a quick Guzma kill on the Noibat with the first energy on it, effectively setting you behind on attachments, with no better way than Max Elixers to make up for it. By including Malamar, and by always using Brigette to grab two Noibat and an Inkay and attaching an energy to a Noibat, you put your opponent in a position where they essentially can’t stop you from being able to use Distort on the next turn as if they gust and KO the Noibat with an energy, an attachment and a Malamar gets you back to where you want to be. This doesn’t guarantee the turn two Distort attack, as anything can whiff, but it stops the almost impossible to come back from position of always needing two turns to attach to declare an attack. So, with a core concept of Noivern GX in play, with an energy accelerator or Malamar and an insurance policy in Brigette, I was happy to build the rest of the deck around this core. Several different support Pokemon were considered, ranging from the dumb, to the very dumb, to the great-if-its-ever-pulled-off, to the acceptable. I varied the supporting cast of Pokemon a little, eventually settling on two Tapu Lele GX and an Oranguru SUM to help draw into the combo pieces. As bench space is a premium with all Malamar decks, careful benching of techs and support Pokemon is essential to keep a field that works and can keep attacking. Added to this line-up first were the mainstays of Psychic Malamar and Ultra Necrozma decks, Dawn Wings Necrozma GX and Necrozma GX. Both provide a tonne of utility, giving you mobility, a defensive GX attack option, a big one-hit option, a second spread attack and most importantly, something to throw at a Buzzwole GX if it gets out of hand. One count of each is fine, especially with two recovery cards in Super Rod and Rescue Stretcher. Then, my current favourite card, I play a Giratina Promo as this deck would otherwise have a zero percent chance against Greninja. The Tina Promo also makes my super happy as it can attack in Malamar decks and help swing the prize trade against Buzzwole, and it also gives you something big and bulky to leave active on your first turn and even has the interesting attack effect of discarding a card from your opponent’s hand at random. 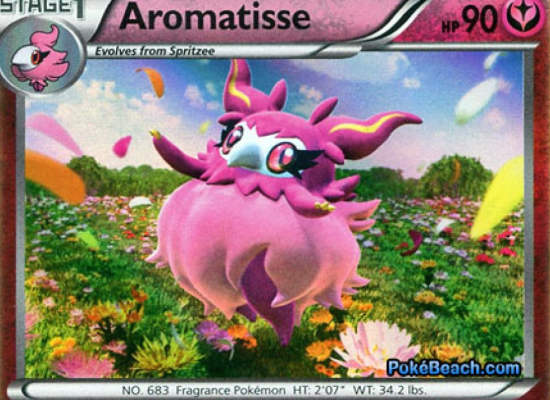 I consider this card as a staple in any deck that is not Grass type. The final essential piece to the core Pokemon line up is the underutilised Spiritomb STS. To those that are pining the delay of the promo Psychic type Tape Lele with Damage Swap, don’t forget you can actually play this Spiritomb with a similar attack RIGHT NOW. Obviously Necrozma GX’s Black Ray GX with Damage Swap is going to be a crazy combo if people don’t play around it, and in this deck having both Black Ray GX and Boomburst GX to spread damage to a field, or to even build up damage with multiple Distort attacks, then coming in to Damage Play your way to victory or to remove all an opponent’s attackers from their field gives you some unpredictable plays and creates some crazy outs. For the preferred energy cost, higher HP and better alternate attack, I would recommend swapping to the Tapu Lele promo when it becomes available. From this skeleton crew of essentials, I also tested out a range of other Pokemon options. By having to include Darkness energy, Yveltal EX sprang to mind, giving good coverage against opposing Dawn Wings Necrozma GXs and resisting Buzzwole decks, as well as it being a reliable sweeper once you pump a bunch of Psychic energy onto it on the bench. It’s probably unnecessary due to Tapu Lele GX having a similar attack, but a one-of Yveltal EX is never a terrible idea. More realistically, Darkness energy also allows for Hoopa SHL, an inclusion that can give you a suite of other good matchups and win conditions by not taking damage from EX/GX Pokemon. 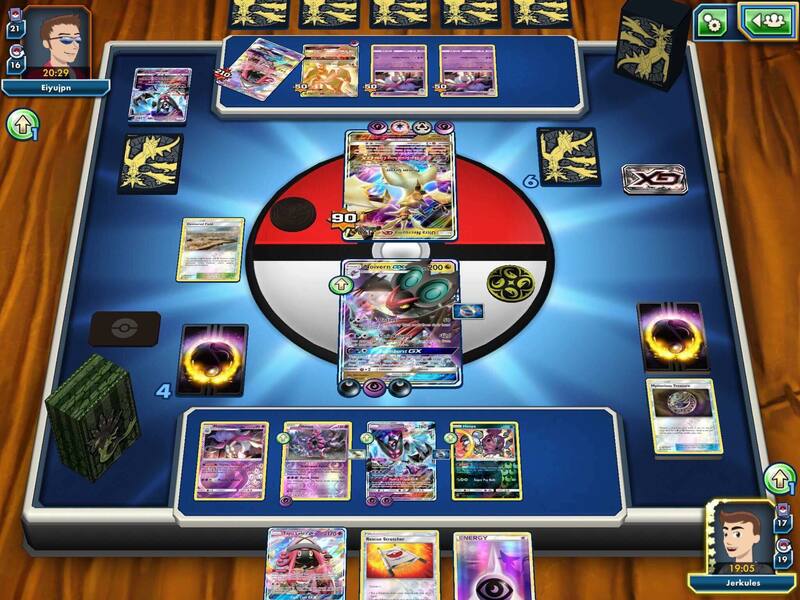 Hoopa’s main role was to be retreated to on turn one to give time to develop a board, as well as an attacker that could go against GXs and one-hit Dawn Wings Necrozma GX. I also briefly looked at both Yveltal XY and Yveltal SHL for their Oblivion Wing attacks to supplement energy attachments, but there really isn’t too much space in the deck or bench. Another super cute interaction that using Dark type attackers gives is that you can use the Stadium card Devoured Field to boost both Dark and Dragon type damage, bringing Noivern GXs Distort to a respectable 60 damage, Sonic Volume to 130 and Hoopa’s Super Psy Bolt to 90. All these increments are much more usable amounts, and also help the plan of flooding the field with damage to then Damage Play with. Other potential attackers that have floated in and out of the list include the Psychic type Hoopa STS, a reliable one prize Psychic type attacker, but it also provides some important math fixing if you’re not using the Dark type/Devoured Field options. With a Choice Band, two hits with Distort add up to 160 damage, where opponents would usually attempt to retreat to prevent a knock out. This is where Hoopas Hyperspace Punch can do the initial or finishing 20 damage to two 170-180 HP Pokemon to make sure they go down easier later. The same math helps with tapping 20 to Pokemon with 130HP to be mopped up with Sonic Volume or Dark Flash later. Hoopa also gives a much-needed one energy attack cost. I also tested Mimikyu GRI to help with the Buzzwole matchup and to give another relatively cheaper attacker, but ultimately any time you’re not attacking with Noivern GX, it better be for a good reason. I also considered Mew EX as an additional pseudo-Noivern GX that with a Choice Band can copy Distort for 160 damage on Buzzwole GX and Necrozma GX, but it often becomes too much of a liability when you’re not just using it to silver bullet Psychic-weak Pokemon for two prizes each turn. For the Trainer and Energy counts, these have remained fairly set in stone as a requirement to set up. A high Supporter count and search options in Ultra Ball and Mysterious Treasure is a must, with the rest of the slots being devoted to recovery, mobility, damage boosting and removing Parallel City and tools. The list included is a conservative build, aimed at setting up as frequently as possible, but depending how you’re feeling you could try including more disruption, such as Enhanced Hammers, Parallel City or more Field Blowers. 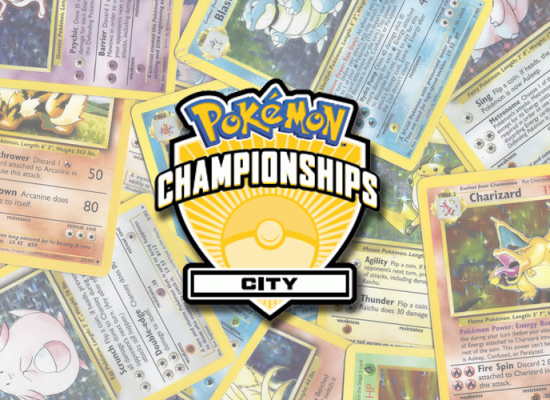 I didn’t include Parallel City as I don’t want my opponent to be able to remove their own damaged Pokemon, but the card is so common it’s still something to watch out for. It’s also terrible to be hit with the bench reduction side yourself as you often can’t spare too many pieces. A couple of Enhanced Hammers would be useful to remove any Special Energy that gets down in Zoroark decks before you can start using Sonic Volume, and a third Field Blower would also be worth considering. As far as piloting the deck goes, after aiming to Brigette early to establish two Noibat and an Inkay to guarantee one Noibat survives to evolve and get a second energy onto it, the rest of the game plan depends on the matchup. Generally, going for some early Distorts to slow down the opponents set up whilst you build a board and start to power up alternate attackers, a big Necrozma GX or more Noivern GX is the main plan. From there, pick when you feel you can win a prize trade after your less-impeded setup, prize trading after spreading damage with multiple Distort attack and then finishing off with the complimenting suite of attackers. Alternatively, against decks which only play Special energy, you can rush to a Sonic Volume to prevent them from being able to declare attacks. Look after your Float Stones and try to ensure you have a way to retreat to prevent being Guzma stalled active to break the Distort or Sonic Volume lock. The other main win condition comes from the aforementioned accumulation of damage on your opponent’s field, then slamming down your damage-manipulator Pokemon of choice to manipulate the damage counters to either close out the game, or to remove as many of their attackers from their field as possible. This avenue has been made more difficult as the general HP caps have drifted up since the release of Sun and Moon but is still a viable option. For this approach, I try to hide the Spiritomb from my opponent for as long as possible as to not give away the super sneaky play. From the testing I’ve had with this build so far, it seems to have some reasonable matchups amongst the current decks. Due to Noivern’s need to build up a field before it’s able to respond, it can often crumble to early heavy aggro or multiple chained knockouts. Big Dangerous Rogue plays from Lycanroc GX, multiple reloads onto Necrozma GX or unchecked Jet Punch pressure from Buzzwole GX can be problematic, as they can be for any decks. Some healing options have been included to help buy time and chain the item lock link for longer, but due to space constraints healing takes priority over Enhanced Hammer for now, but both options are certainly viable. Picking which win condition to aim for can take a bit to get used to, as can knowing when to go from item locking to swinging for bigger knock outs with your other attackers. Ultimately, I feel like a lot of decks can just punch through the item lock approach currently. The success of Seismitoad EX was due in part to the ease in which attackers could be chained, as a basic EX needing one energy attachment is clearly easier to loop than a Stage 1 GX with a two-energy costing. However, this Noivern build gives you a suite of options, varied attackers and some room to build around the decks you don’t want to lose to. As long as you can manage your resources and bench well, draw favourably and force your opponent to play sub-optimally, you’re in with a chance. I’m keeping an eye on this build as an off-the-wall option for the World Championships if I can’t stomach testing another month of Buzzwole. There we have it, I thought I’d share with you all how my testing has been going so far. Feel free to try the deck idea at your local events and online. I’d love any feedback, comments or other options I may have overlooked to help get this archetype off the ground. Whatever it takes to be able to say “Quaking Punch ” again.